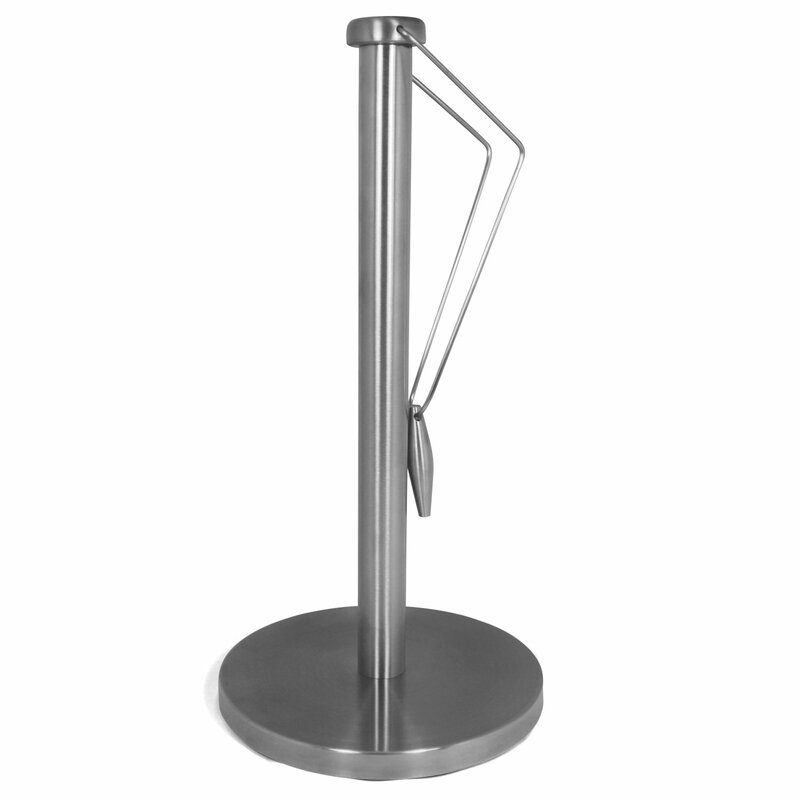 Home › Home and Kitchen › Siwu Free-Standing Paper Towel Holder - 12"X 6" Stainless Steel Vertical Tiss..
Siwu Free-Standing Paper Towel Holder - 12"X 6" Stainless Steel Vertical Tiss..
ORGANIZATION AND CONVENIENCE - Best free-standing holder for countertops. Organizes and complements kitchens, dining areas, guest baths, and patio areas. Keeps good linens and cloth towels from being soiled or stained. STABLE: WON'T TIP OR SLIDE - Non-slip, weighted base with capped spindle resists slippage on countertops and holds any size paper towel roll securely. PORTABLE: NO INSTALLATION REQUIRED- Tension arm paper towel holder sits upright on countertops, tabletops and shelves. Eliminates drilling or nailing holes in walls unlike wall mount designs. MONEY BACK GUARANTEE- If you are unsatisfied with your SIWU Free-Standing Paper Towel Holder for any reason please send it back for a full refund!!! The SIWU Free-Standing Paper Towel Holder integrates designer appeal withconvenience when it comes to cleaning spills or drying wet hands. Perfect for kitchens, guest baths, and the garage, this vertical paper towelholder is crafted of polished stainless steel with non slip heavy base to keep holder from tipping or sliding across countertopsor shelves. Incorporating sleek lines and geometrical architecture with functionality, thepaper towel holder arm holds towels securely in place until ready for use. Why dirty good linens or hand towels when guests arrive Portable holder can beplaced anywhere messes are bound to happen. Unlike mounted paper towel holder designs, there is no need to drill holes orhammer nails into walls or cabinets.